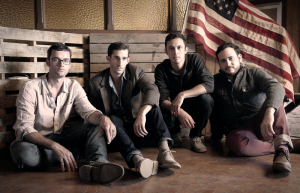 An Interview With The Folk-Rock Group THE BREVET About New Music, Winning Awards, Fave Tour Memories And More! 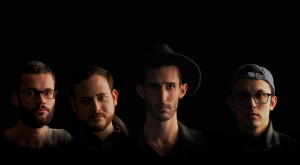 If you think you haven’t heard of the band before, you might have heard their music on networks/shows on NBC, The MLB Network, ESPN, Paramount Pictures, CBS, FOX, The CW, Warner Bros., just to mention a few. Their work has caught the attention of many licensing agencies and music supervisors leading to placements of their music on TV and Film networks. The band has also opened for the likes of the Airborne Toxic Event, NEEDTOBREATHE, and Young The Giant. Even playing parties and festivals like Flood Magazine’s Flood Fest, Summerfest, Rock The Boat, and SXSW’s Quantum Collective. This year has been crazy, exciting, and inspiring. This is a dangerous question, I could go on and on… a few of our 2016 highlights so far include playing The Rock Boat; a week-long music fest aboard a Costa Maya bound Cruise ship, playing alongside some great bands, including NEEDTOBREATHE, Gavin DeGraw , Colony House and a bunch more. We’ve also played some other great festivals, including Summerfest, Musikfest, and we just got back from playing our first international festivals in Canada. We just released our EP, Embers: Chap II, followed by a successful release show at No Name Club, here in Los Angeles. Moving Mountains just hit the 2 million mark on Spotify, and the recently released Embers is at 100k. So, it’s been a busy year, and we’re all feeling more excited than ever about the momentum we’ve gained! I was always around music growing up, and I’ve always known it would be part of my life, but didn’t really anticipate doing it for a living until I got a little older.. by the time I got through high school, I realized music was something special, that was probably going to be more than just a hobby. 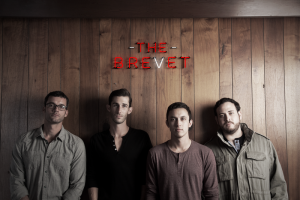 How did The Brevet first come together? How did you come up with your band name? The Brevet was an idea Mike and Aric had a few years back: Aric returned to California after finishing his studies at University of Nebraska. He and Mike got together and wrote a few songs, and I had known Mike for a bit, from some other session work. So, Mike introduced us, we had a few recording sessions, and those sessions just kept on happening! It didn’t take too long for everything to take direction, and lead us to Ben on bass, and John on lead guitar, as well as an incredible team that would operate as The Brevet,which is an unpaid military rank of honor and merit given to officers, that goes back to Revolutionary and Civil war times. What was it like winning the Rising Star Award last year at the Irvine Public Schools Foundation Spirit of Excellence gala? Speaking of Honor and Merit, the IPSF Spirit of Excellence Gala was truly special for us. It was, and is, amazing to be recognized by a foundation with such a long tradition of great artists. Especially for Aric, Mike and Ben, who all come from those high caliber, artist supporting schools in Irvine. You recently released your EP, “Embers.” Can you talk about the inspiration for this collection? 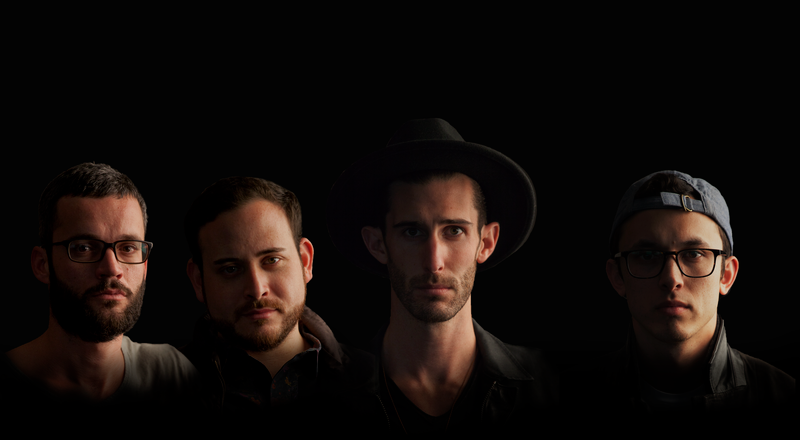 The group, as a whole, has collaborated more on this than anything else we’ve worked on. We still find inspiration in stories of love, hope and determination, however we feel like we’re touching on something more personal than ever, we’ve branched out further into influences, and keep getting better at capturing the feelings and emotions we want to evoke: “Embers” really represents us finding our voice. You guys have opened for so many incredible bands. What’s that been like for you guys? What’s been a favorite band that you have opened for? Yea, we’ve been fortunate for those opportunities. It’s always humbling to open for bands at that level, we learn something every time. Opening for The Airborne Toxic Event was great, it was the first time we had played in that venue (The Observatory, in Orange County, CA), and the whole place was sold out. We made a bunch of new friends, fans and followers, and, of course, were blown away by their set after us! Same goes for NEEDTOBREATHE, although we didn’t open for them, just being on the same bill as them for the festival, sharing a few of their fans, getting a chance to chat with them a little, and watching them play… ahhh!!!! so good!! I’m not sure if anything has completely taken us by surprise. Not to downplay it’s challenges, but I think we all knew, more or less, what we were getting into when we started this thing. That doesn’t mean we haven’t been overwhelmed by it… it’s a fast paced industry, and you can get into some trouble if you don’t approach certain things with caution. One very real challenge is to not let music business take over music itself; you know, to remember that the priority should be writing good songs, and making live shows better, and better. 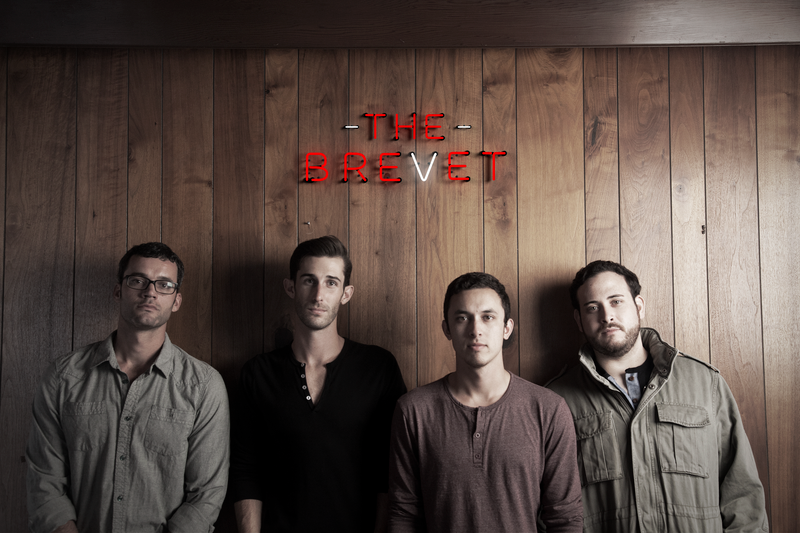 All 5 of us have different things that come naturally – but as a whole, The Brevet machine naturally continues to write and record it’s own music, and we’ve made a habit of keeping forward momentum. Between the 5 of us, I could make this answer inappropriately long, but to name a few: Lord Huron, Kaleo, Jamestown Revival, Bruce Springsteen, NeedtoBreathe, Drew Holcomb, Coldplay, Alabama Shakes, Ray LaMontagne, Kings of Leon. Working with any of these band would of course be insanely awesome, but really we’ve also met so many upcoming bands on the road, at festivals and shows that also inspire us. So we’re just taking it in stride, trying to surround ourselves with the right people, and are confident that we’ll end up in the right place. Here in Southern California, we’re spoiled with mountains and an ocean in our back yard, so we take advantage of that; hiking, camping, swimming, the occasional road trip. With John in the band, we now have a resident yoga instructor in the group, and Aric’s a certified personal trainer, to keep us from getting too wound up! Checking out local shows is great here, spending time with our family and friends, BBQs and bonfires, whiskey. Perseverance, love and determination are hopefully themes that resonate with our listeners. One of the great things about music is that it’s a very personal, subjective experience. So, my hope is that listeners can take our message and apply it to whatever it is that makes them tick.